Just a few months after the Pennsylvania Public Utility Commission (PUC) temporarily approved ridesharing services Uber and Lyft in Pittsburgh, Uber supporters rallied in Harrisburg on Monday afternoon to push lawmakers to fully approve their service. The San Francisco-based mobile app company wants to legally expand out of Pittsburgh and into the rest of the Keystone State, but has come under fire for a lack of clarity on auto insurance coverage for drivers and passengers, among other safety issues. Uber and its ridesharing competitors promote that their services help decrease drunk driving and provide transportation more efficiently and cheaper than public transportation or taxi services. Opponents say that safety should be valued higher than cost or efficiency. According to Peter Shelly of the Pennsylvania Taxi Association, "[ridesharing services] are no more than glorified hitchhiking. You have no idea who's driving that car." After a crash with an uninsured Uber driver killed a young girl in California earlier this year, Uber implemented a $1 million insurance policy for drivers that is valid "from the moment the trip is accepted by the driver until the moment the rider is dropped off and safely exits the vehicle," Jon Feldman, Philadelphia Uber manager, said. Uber has also implemented background checks on the county, multi-state, and federal levels that trace potential drivers back seven years. "[The background checks are] the maximum allowed by law and are far more thorough than those required in the state for any taxi or limousine," Feldman said. 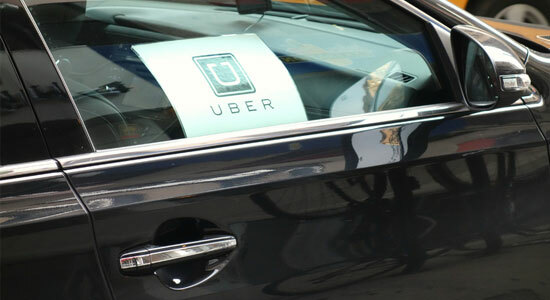 Still, two PUC judges denied Uber's application for permanent licensure in Pittsburgh last month, citing that the company hasn't proved its commitment to the safety of drivers and passengers and hasn't willingly complied with PUC orders. “UberX pushes for approval for ride-sharing bill.” ABC27. Oct. 7, 2014. “Uber ride-sharing supporters to rally in Harrisburg.” Pittsburgh Post-Gazette. Oct. 7, 2014. “PUC judges recommend Uber application be denied.” Pittsburgh Post-Gazette. Sept. 25, 2014.